We tend to believe horrible things won't happen to us, but unfortunately, they do. The term stillbirth in my opinion takes away from the reality of the pain of infant loss. In reality, you are losing a child, that you have bonded with for many months. On December 7th, 2018 I went into labor with my daughter Wynter at 36 weeks. Just one month from my due date. When I got to the hospital, I was told she didn't have a heartbeat. Words cannot describe the despair, panic, confusion, and anger (to name just a few) that follow the death of a child. I got to meet my beautiful baby girl, who looked perfect, but she was already gone. The time that followed felt like a dream, a nightmare, and I would feel like I wasn't going to make it through the night. Like I was just going to die from the emotional pain, which I also felt physically. My mind replayed things over and over, enough to make me feel like I'm going crazy or my mind is just going to shut down. Replaying the day of and day before over and over. Looking for something that maybe I had missed and thinking of what ifs. Like what if I had come to the hospital sooner, or what if I had paid more attention to my body and baby and felt something was wrong. Or maybe I did something wrong, or maybe I didn't cherish my pregnancy enough. In reality though, I had been to the doctor a week before and everything was fine. I still have no answer as to why. After about a month of the worst time in my life, I realized I had a choice to make. I had to decide for myself if I would let my grief make me bitter, or better. I knew that I had to get better, for myself and for my kids here on Earth. It is not an easy road to travel but it is a path that must be taken. I still cry, I still miss Wynter and long for even just one more moment with her. I still feel sad for all the moments I won't have with her, and I wish that she could be with me now, but I no longer feel like I can't go on. I no longer feel trapped in the darkness and despair, I now have hope. Hope can be found in different places for different people, and I found mine in God. There is always going to be a part of me that is missing, and I think it is always going to hurt, but with God's help I can still have happiness in life and be here for my kids on earth. It is a battle at times to just give up or to trust God. It's not easy, but sometimes it's easier than others. The key is to not give up. Have faith. Something that I have learned from losing Wynter is to love more deeply and cherish every moment. Even those sleepless nights, the temper tantrums, the pains of pregnancy, and even just having your children with you. Seeing them smile. Everything you love can be taken from you in the blink of an eye, so it is very important to be thankful for every little moment, good or bad. 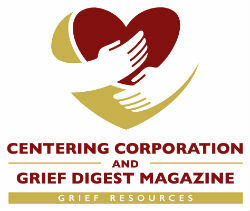 They say grief can make you better or bitter, but I have realized you have to make that choice and not give up. "What you learn from the pain you experience is something that one day, someone else will desperately need." Lindsay Neskov is a passionate writer and a loving mother of three; two on Earth and one in Heaven. She wants to inspire other bereaved parents to turn grief into something great, and help others by sharing her story. She is also spreading awareness on the painful truth of pregnancy and infant loss, and giving hope to those hurting.